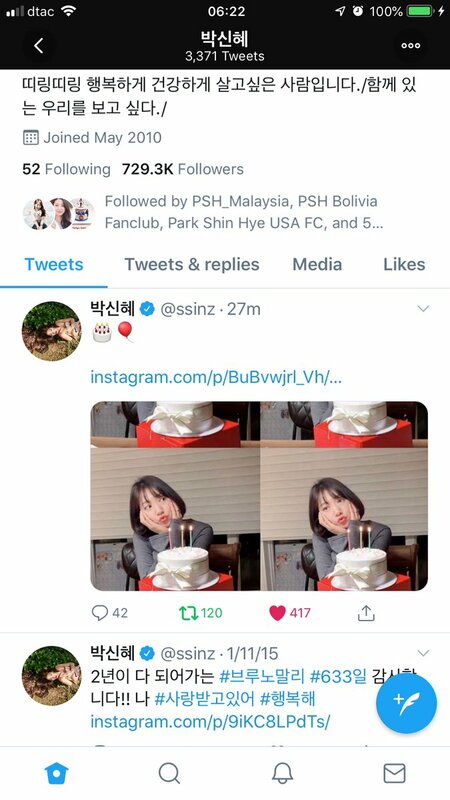 Actress Park Shin-hye's Twitter (https://twitter.com/ssinz ) All of Twitter account activity of Park Shin Hye actor that came up yesterday is hacking damage. @Iduc based on this news, you might want to edit the post about Shin Hye is back on Twitter to prevent misunderstandings ! Thanks. PS: Many bad people out there! What is their goal? What she did or did not do to them? They are constantly attacking her. Being respectful, generous, good heart, good professional , good daughter , good friend, good human being, loved by many that recognized her good character, that just wants to live her life in peace and harmony has become a threat for others now? I am glad she is a person of strong faith, and knows God is guiding her in all moment of her life! A Warrior! Stay strong and fighting ! With you through thick and thin, always! You not alone. Love you Shin Hye! Omg she even updated her profile pic !!!!! I think she's officially baaaaaack !!! #ParkShinHye twitter @ssinz has been hacked. Looks like they get the account back. Chinggu I think the hacker is her fan who just wanted her twitter updated as our girl hasn't posted for a long time. That person hasn't posted anything bad so far. But I'm glad we and her agency has found out on time and taken action before harm can be done. No matter how we love a person, in this case Shin Hye, it doesn't justify our actions of being possessive/obsessive and controlling. I also hope her agency will learn from this. Our girl has many fans from all over the world and are using different platforms of Social Media. They are hungry for any updates about our girl. With the money Shin Hye brings to the company, they should have someone manage her twitter and weibo accounts - post updates about her official engagements so fans won't resort to this tactics. 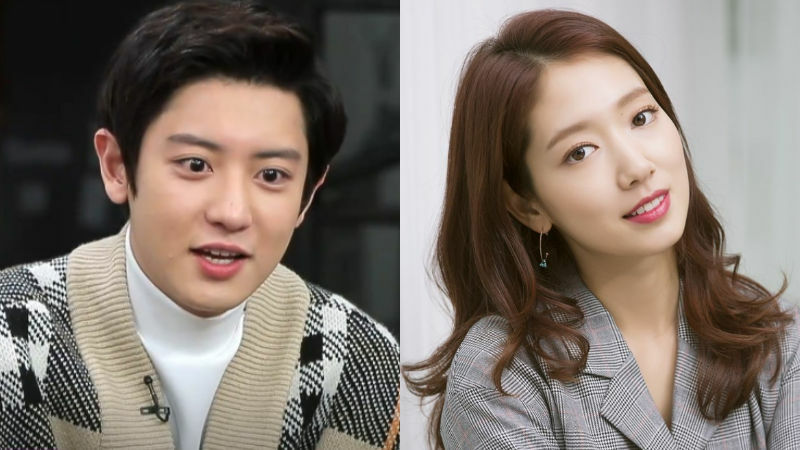 K-pop boy group EXO's member CHANYEOL revealed what made him think actress Park Shin Hye's kindness could very possibly be all fake. On February 21 episode of tvN's talk show 'Life Bar', CHANYEOL made a guest appearance. During the talk, CHANYEOL mentioned what it was like watching Park Shin Hye act in their recently-ended drama 'Memories of the Alhambra'. CHANYEOL said, "On one shooting day, I noticed our director and Park Shin Hye discussing a particular scene. I heard Park Shin Hye asking the director, 'Do you think I should cry in this scene?' A few minutes later, Park Shin Hye said, 'Okay, I'll cry!'" He went on, "Then, Park Shin Hye was asked to act that scene right away. As soon as the shooting began, tears rolled down her face. She didn't even give herself time to build up the sad emotion. But the surprising thing was that it looked so real! She truly looked sad. It seemed like she was some sort of machine born just to act." CHANYEOL continued, "Shin Hye and I are very close, and she treats me like her younger brother. After seeing her cry like that though, I started to become a little suspicious.
" He playfully added, "I thought to myself, 'Is Park Shin Hye acting when she is being kind to me?' Her acting skills were that great." In 'Memories of the Alhambra', Park Shin Hye acted as a hotel owner 'Jung Hee-joo' and CHANYEOL played a role of her younger brother 'Jung Se-joo', a genius programmer who developed an intricate augmented reality game. [Where to put the clothes off] 'Alhambra' Park Shin-hye, innocent Ivory knit stand out Where are you going? psh should do another drama in spring this year to compensate for the loss of romantic scenes in recent drama. 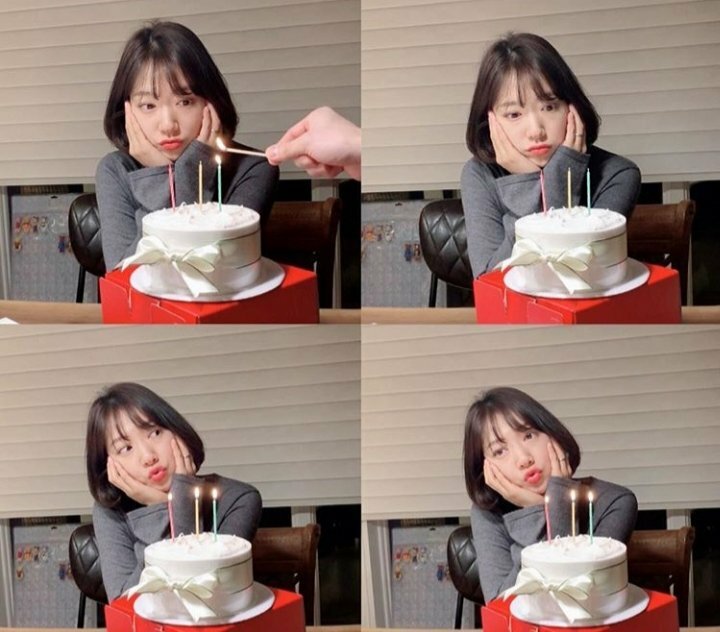 gong yoo should do rom com with her. In 'Memories of the Alhambra', Park Shin Hye acted as a hotel owner 'Jung Hee-joo' and CHANYEOL played a role of her younger brother 'Jung Se-joo', a genius programmer who developed﻿﻿ an intricate augmented reality game. #ParkShinHye and #SoJiSub get set up on a lunch date and it's SO cute! I'm wiser thanks to Pinocchio drama, I've learned how to distinguish Fact vs. Impact news This is definitely an Impactful one. I also hope her agency will learn from this. Our girl has many fans from all over the world and are using different platforms of Social Media﻿﻿﻿﻿﻿﻿﻿. T﻿hey are hungry for any updates about our girl. With the money Shin Hye brings to the company, they should have someon﻿e manage her twitter and weibo accounts - post updates about her official engagements so fans won't resort t﻿o thi﻿s tactics. I totally understand and I am not in disagreement with keep the platforms of Social Media up to date with her professional social events, but I feel that her agency and her are doing a good job on IG and Twitter. They must have strong reasons, to believe that is enough. We fans should respect it, and not acting as if we are entitled, and acting up on to satisfy our selfish needs! What they did, it is a break of privacy, that even me a non celebrity, will feel totally devastated. Does not matter if you are a fan, it's a stranger breaking into someone's house! I hope her agency will take legal actions against those who did it, that whoever did it will learn a lesson from it. It is a criminal act that should not be taken lightly! My opinion. Praying for common sense and respect to one another! @rori0711 Lol. Chingu, you are a runner , and a good one! Love it! Kkkk. See you in Japan 2020, Olympic! For the love of Shin Hye! Proud of you.